Last week was a great mail week, even though the week sucked a bit otherwise. I received some really great mail, which, I must say, couldn't have come at a better time! I was feeling crappy, so the mail really helped! I got two letters from Susanne! That was really awesome! They were great, thank you! I also got a letter from Lynn, who gave me all those library books a while ago. While I was shifting through all those treasures, we got to talking and discovered we had a lot of similar interests, like books and snail mail. My outgoing week was a little slower than usually. 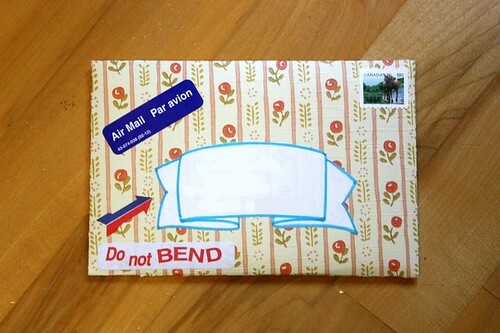 I mailed out a few orders like I usually do. I'm not going to add them all here, but I'll show you one as an example. 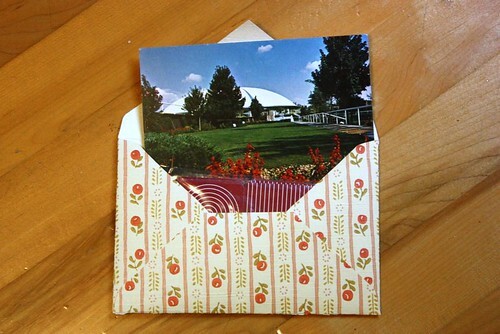 This time the envelope is made from flowery vintage wallpaper and I added a funky vintage postcard to the order. The only recreational mail I sent out this week was a few postcards from the Star Wars exhibit. I'm cheating a bit here, since the actual cards are already in the mail, these are the few I kept myself. 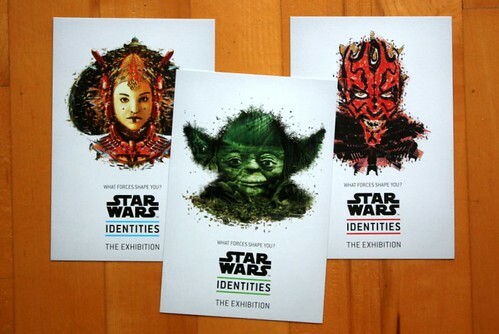 A lot of the cards were already sold out, so unfortunately there were no Darth Vader ones. These were pretty cool too, though. I have a bit of catching up to do with my mail this week. 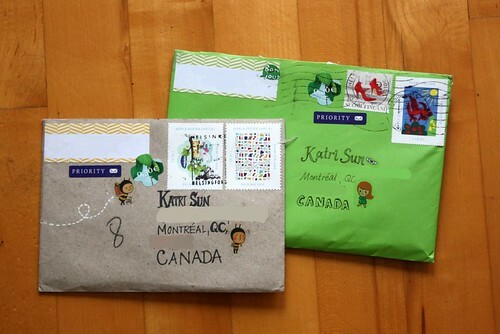 Like I mentioned, I wasn't in the happiest of moods, so letter writing was not the top priority. 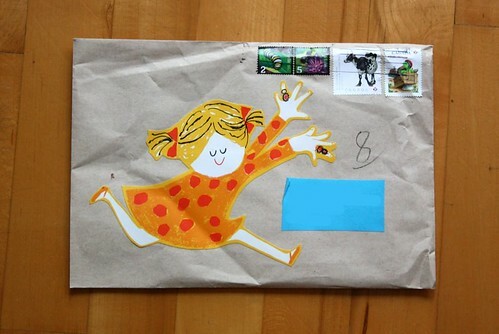 Things are brighter now, so I will get to some snail mailing soon! But why would both letters arrive at the same time? They didn't actually arrive at the same time. They came two days apart. One came on Wednesday and the other on Friday. Which, by the way, was a perfect timing! Thank you again! Alright, there's another one on the way now, I dropped it in the mailbox on my bike ride to work today. Weekly Icelandic candy shipment.